While the new ForeRunner from Coye Knives shares the same overall look as the Ridgeback, it has been modified and enhanced in meaningful ways. Its handle features a third finger groove and the index groove is wider to accommodate larger hands. 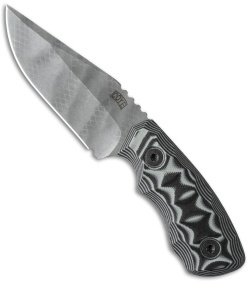 The ForeRunner maintains the same proven clip point blade shape in 5/32" Bohler N690 stainless steel. You're going to like the feel of this three-finger fixed blade. New from maker, this ForeRunner has a custom finished blade and hand sculpted, layered black/gray G-10 scales. 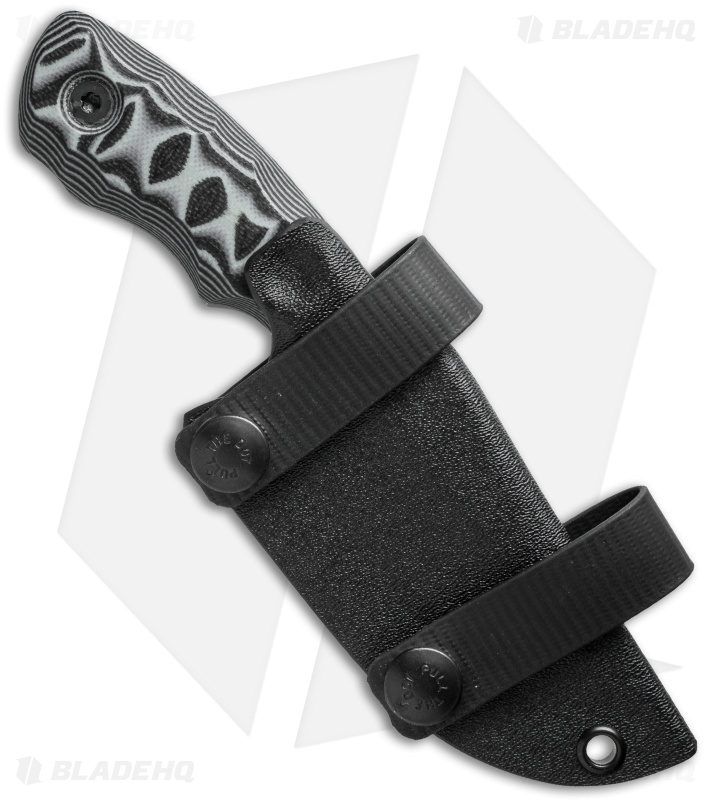 It also includes a Kydex sheath with a soft loop belt attachment for concealable horizontal carry. Bill Coye spent the last twenty three years in health care as a Paramedic and RN. Ten of those years he worked out of the back of a BK-117 helicopter for an air ambulance service. When something went bad in an emergency setting, whatever piece of equipment he grabbed had to work right the first time. That experience is what drives his knife making.